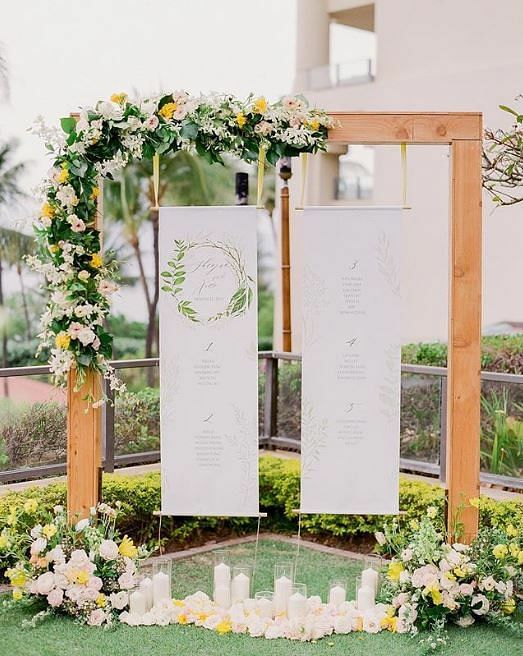 If you’re into the whole do-it-yourself movement or would love to add personalized touches to your wedding, then you need to look through these ideas for a DIY wedding backdrop. Whether you hang them from a wooden arch or against a wall, exude old-fashioned charms with calligraphy paper scrolls. There are plenty of tutorials on how you can create your own scrolls; otherwise you can always buy them online. 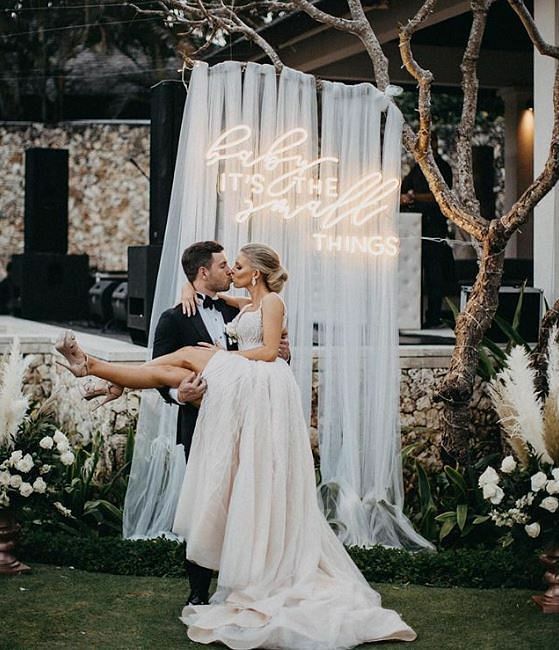 Neon signs are now a thing at weddings, especially at lit ones. 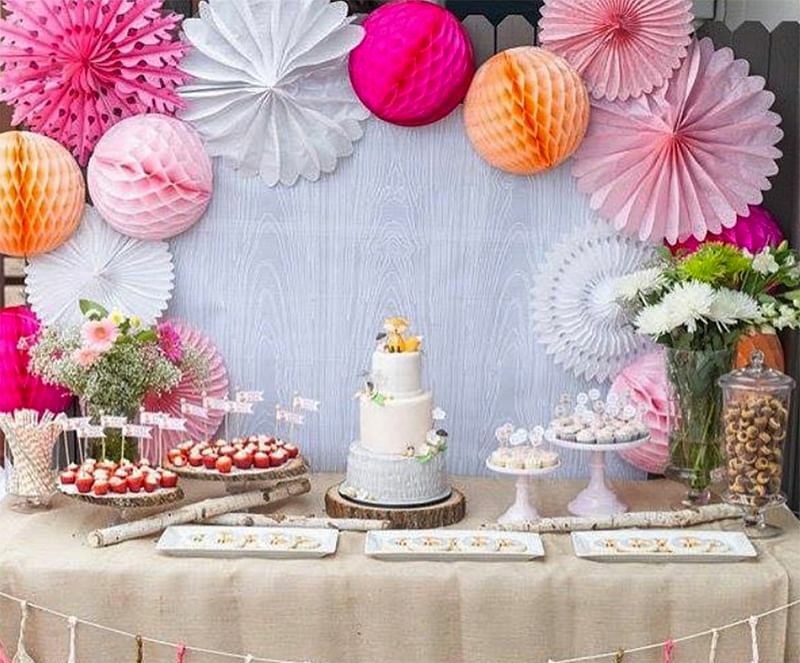 We love how the soft draperies contrast with the neon sign and how complete the set-up looks. Just get a ton of fabric of your choice, knot them around a standing structure and complete it with a custom sign! It could be anything from a laser-cut wooden sign or a neon one as pictured. 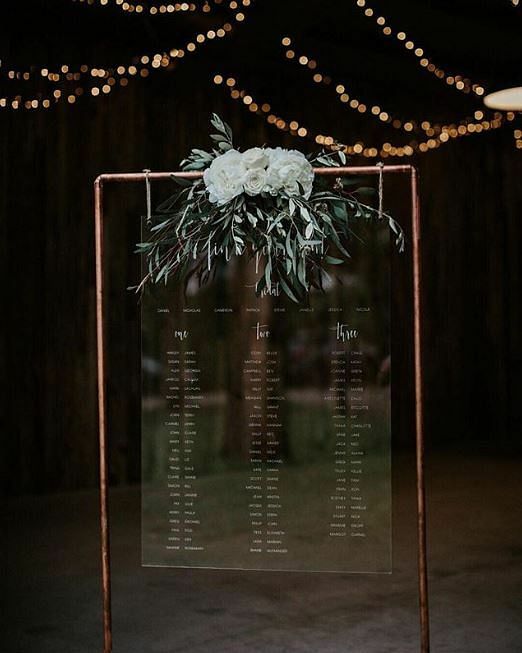 For a modern and chic styling, consider including clear acrylic touches like this seating chart at your wedding. Get it professionally done and place it however and whereever you’d like for a backdrop or photo corner. 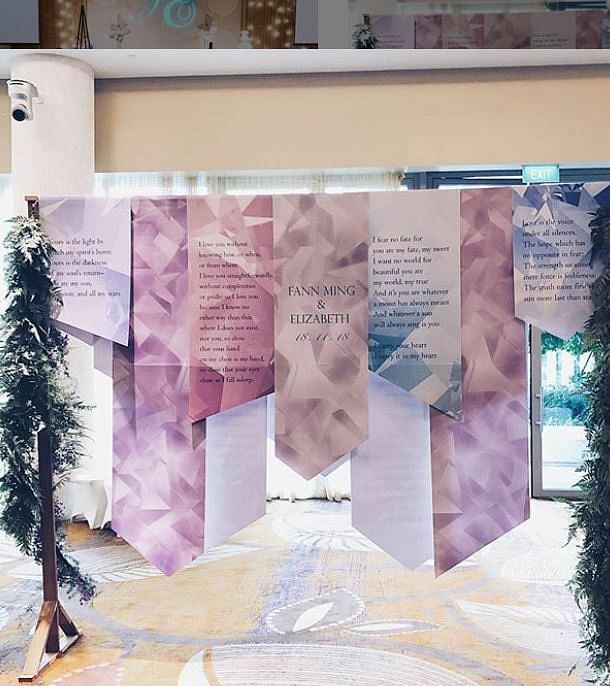 This installation may take a bit of designing and printing but it is a great way to display your favourite poetry or quotes at your wedding. 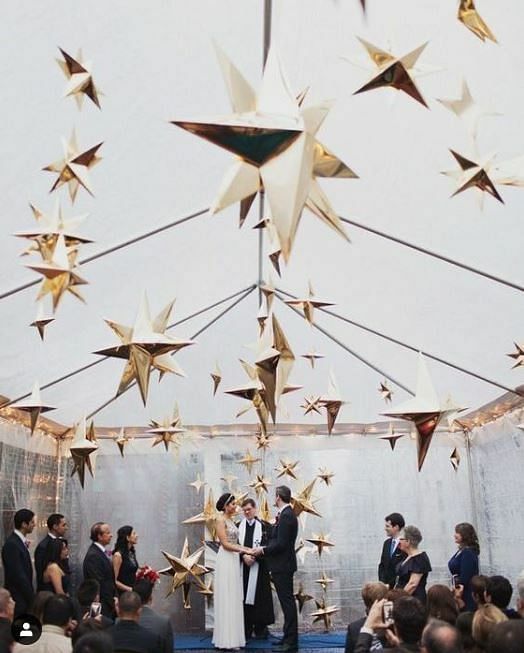 This hanging gold stars installation will definitely take your guests’ breath away. Sometimes a single wow factor is enough. 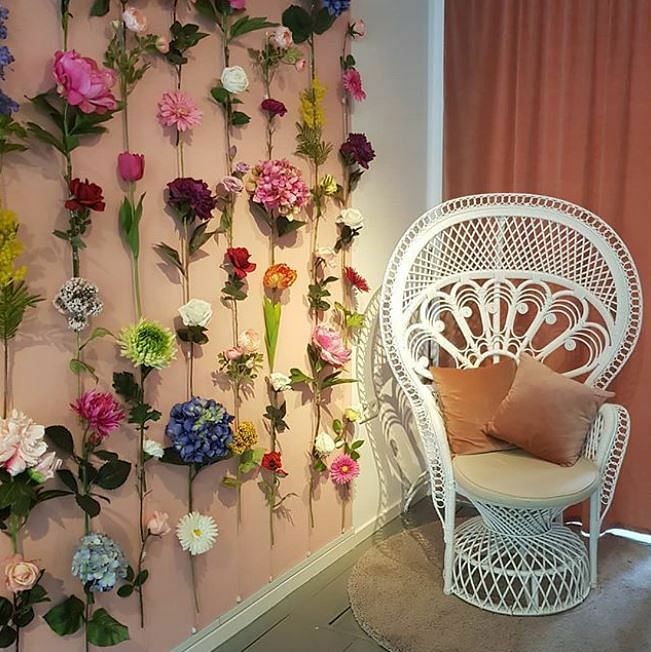 If you don’t possess a particular penchant for floral arrangements then this design involving single stemmed flowers and tape will do just the trick. 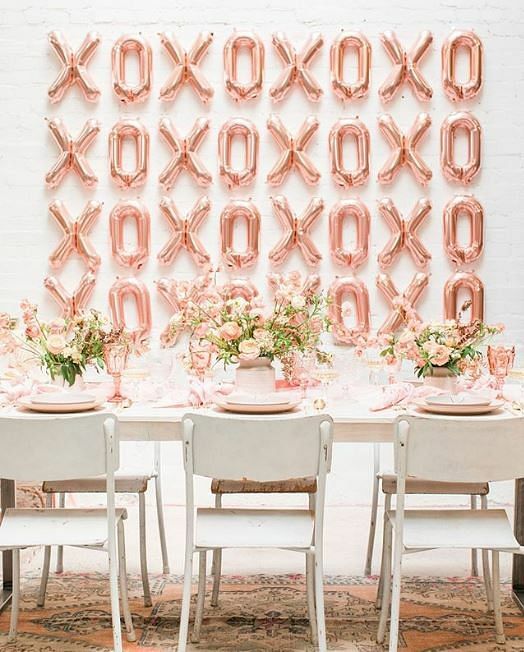 You only need two items for this backdrop idea: a lot of foil balloons and tape! A backdrop does not always have to come in the form of an actual wall or standing structure. 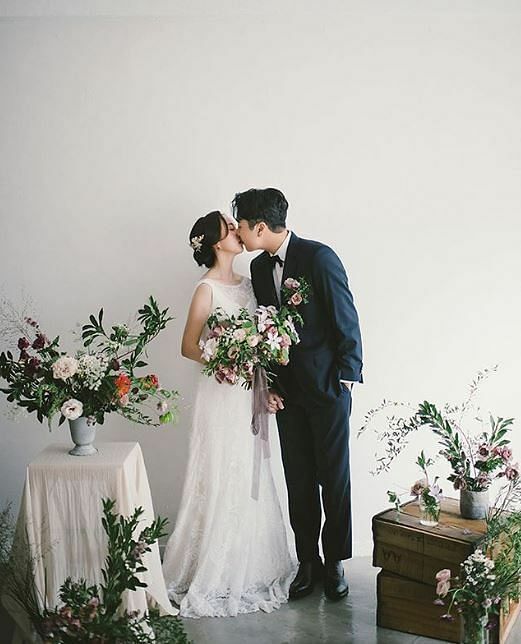 This photo corner of flowers and crates is a cute and fun idea for your guests to take pictures at too. 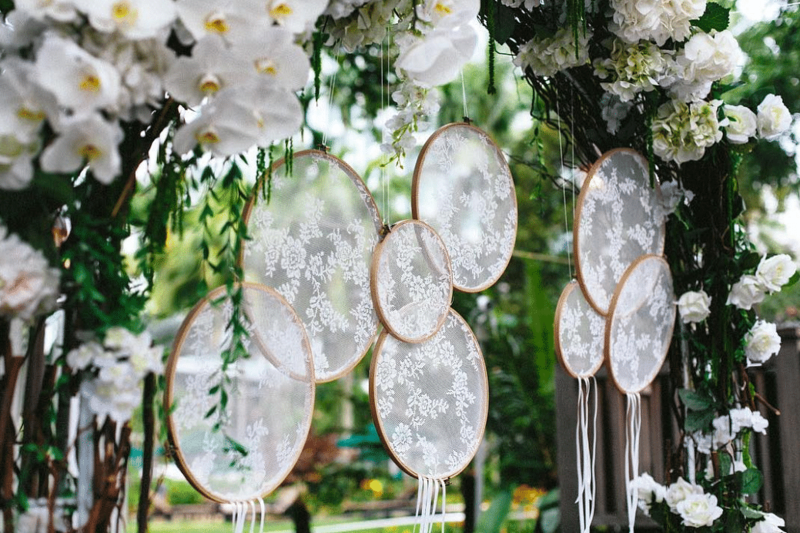 We love the vintage, rustic vibes coming from this winning combination of lace and wooden embroidery hoops. Go forth with paper! With just the use of colourful paper medallions and paper accordians, your photos will turn out looking vibrant and full of life. HAPPY PLANNING FROM YOUR CHAOS COORDINATORS!